I have a confession… I’m not a native to Texas or the US. I was born in the UK and grew up there and in Denmark before making my way to California. I have ministered in a variety of settings from the mountains of southern Colorado to San Diego county, from the mining communities of north Idaho, to the fertile ground of Richland, Washington. Our last assignment was as missionaries in the Republic of Ireland, a land of beautiful people, wonderful history and green in every shade you can imagine. In each and every move we have sensed the leading of God… and that is still true today. At every juncture, at every turn, we have sought to follow the leading of our Lord… which brings us to The Woodlands Community Church of the Nazarene. 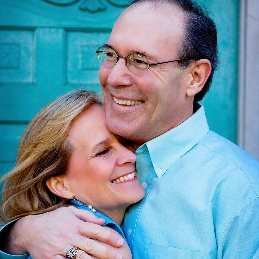 I married up... my wife Annette and I do ministry together and have been for almost 30 years - there’s nothing better than sharing the journey of life with someone you love and who loves you. Along the way, we’ve been blessed with two great kids (Elizabeth and Matthew), and now we have three, as our daughter has married a good man named Ben. Let’s just say we’re blessed. I love a good cup of (HOT) tea… Some might suggest I’m a tea snob! It’s probably true! I enjoy traveling and visiting new places. I really enjoy the beautiful game (for those who don’t know of what I speak… it’s what is called Soccer by some). I especially love the Premier League. I also am a fan of the Kansas City Chiefs (please don’t judge). I enjoy preaching, go figure… and I look forward to getting to know the community where God has planted us… I see this place as my parish. There’s something else you need to understand about me. I’m passionate about seeing the church not as a building or a program, but as a people who seek to mirror Jesus to our world. If you’re looking for more than a place to attend, but for a community to join, I’d love to meet you! I could put on the kettle and share some good conversation. Gama was raised a Nazarene in Vera Cruz, Mexico, but has been an adopted Texan for 19 years now. 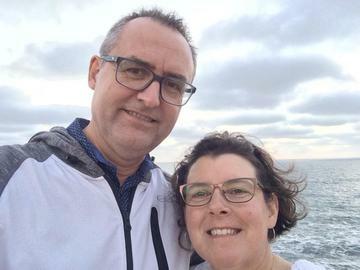 After spending three years in Orange County, California, serving as a worship leader, God moved him to Texas where has lead worship, small groups and music classes, serving at three different congregations. In July and August of 2016, a plan began to unfold to serve as the Spanish pastor in a new ministry plant within WCC. 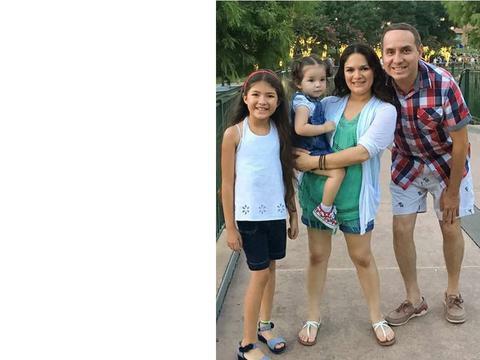 Gama, with his beautiful wife, Junisa, and their full-of-life children, Mia and Elizabeth, is excited about their ministry at WCC. 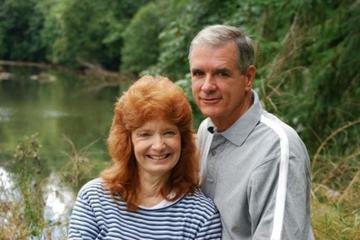 Gama enjoys photography, music (especially Christian Jazz), remote controlled airplanes, fishing and reading the Bible. Gama's aspiration is this: "Deep inside I knew that I needed to prepare myself for when God would call me to the pastoral ministry. My heart is to serve God with excellence in everything I do, and to expand His kingdom. My vision is for us to be a healthy, strong, and growing church." Hi, I’m Deanna Gates and I am so excited about the opportunity of working with the children at WCC and being a part of your community. My absolute favorite thing and burning passion in life is being with children, teaching them about God, and helping them to know how to live their lives CENTERED on Him. I have been doing “the kid thing” for over 40 years now and it has been a MEGA adventure filled with laughter, love, creativity, learning, growing, nurturing, friendship, fulfillment and eternal rewards. I wouldn’t trade it for anything in this world!!! It all began at age 12 when I was given responsibility over a small preschool class during my country church’s Vacation Bible School. From that point on I have continued to grow in my love of teaching children which led me to pursue a degree in Elementary Education. During my college years I met the man who has been the love of my life and my best friend for over 40 years. After we married he felt God was calling him to be a pastor and so we began the adventure of serving the Lord together in ministry. Children’s ministry became my area of service and my passion. I have had the opportunity to work with children in a variety of settings from school classroom, to pre-school director, to many different areas of children’s ministry within the church. Teaching children the Word and Ways of God is to me the greatest and most valuable contribution that I can make to the building of God’s Kingdom and I LOVE it!!!! We have 3 grown children who are our richest earthly blessing, our 24/7 “on call” prayer team, our partners in ministry though in their own church bodies, and the pride and joy of our lives. They have gifted us with 18 grandchildren, ages 1 to 21, all of whom bless and enrich our lives with a happy hullabaloo of love and fun!! Rosie Gerbrecht grew up in Baton Rouge, Louisiana, just down the street from the love of her life (Jamie), who she's been married to for 30+ years! They’ve experienced a couple of milestones along the journey: the year she graduated from college the Lord called them to begin a closer walk with Him, and she says there’s nothing in this life that compares. A few years later their only daughter was born and swept them off their feet!